A protestor outside of the Supreme Court demonstrating against the Citizens United decision. Photo: Roll Call. Though the United States may have all the features of democracy on paper, the researchers concluded that “America’s claims to being a democratic society are seriously threatened” by the dominant role business organizations and affluent individuals play in policymaking. Throughout history, the U.S. had regulations on the local, state and federal level aimed at limiting that influence. But the 2010 landmark Supreme Court decision in Citizens United vs. FEC opened the floodgates, allowing corporations to spend unlimited sums of money in elections on the grounds that money is a form of speech. The next year, Cenk Uygur, a host and founder of the popular progressive online news show The Young Turks, launched Wolf-PAC, a political action committee that advocates for a Constitutional amendment that would supersede Citizens United and reform the country’s campaign finance system. The group has since attracted hundreds of volunteers from all across the country, many of whom travel great distances at their own expense and use vacation time to fight against what they see as open corruption and the destruction of American democracy. Wolf-PAC has successfully lobbied legislatures in five states – California, Rhode Island, Illinois, Vermont, and New Jersey – to pass resolutions calling for a Constitutional convention on the issue. 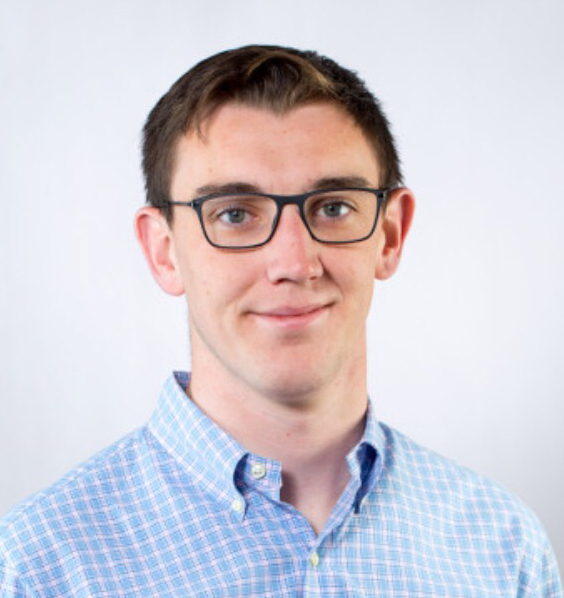 On Tuesday, The Globe Post ‘s Bryan Bowman spoke with Wolf-PAC’s Executive Director Michael Monetta to discuss the state of the fight against big money in politics and the prospects of a 28th amendment on campaign finance. Q. Last week, Howard Schultz, the former Starbucks CEO and billionaire who is floating an independent run for president in 2020, was on The View. And in answering one question, he remarked that “you can’t buy the presidency of the United States.” And the crowd in the studio at The View laughed pretty loudly at that. And the reaction of the crowd I think was quite telling in the sense that maybe not every ordinary American is super well versed in the intricacies of campaign finance, but there seems to be a growing and quite broad understanding just from ordinary people and an awareness of the corrupting role that big money plays in American politics. Do you agree generally with that assessment? And since Wolf-PAC started in 2011 how much do you think awareness on this issue has grown. Monetta: Yeah I think people totally get it. And polls will bear that out. Consistently, polls show between 80 and as high as 96 percent of Americans acknowledge that the money corruption that’s happening, the political corruption that’s happening in our government is a major problem and it needs to be solved. People do not like what’s happening and they do not like the fact that our politicians have to raise millions and billions [of dollars] – if you’re talking about the presidency – just to be able to run for public office. It’s out of control and it’s just not what this country was supposed to be. We’ve really lost our way and I think just about everybody gets it. Even people who are caught up in that system don’t like it. Now and then you see a congressman who is retired and will go on 60 Minutes and talk about the money being the worst part of the job. I’ve seen them use the word “torture.” But they don’t go on there when they’re in office. It’s always right when they get out there. They don’t feel that they can speak out against it while they’re in office because they’re sort of stuck in that world and they don’t want to campaign funds to dry up. But as soon as they get out they start basically yelling for help. Q. Within Congress and within government, there seems to be growing momentum amongst people who decide on their own that they just won’t take any major PAC money or any money from large corporations or special interests, particularly within the Democratic Party. Of course, Alexandria Ocasio-Cortez has become a major star in the party after her big win in the midterms. And there’s other people that were part of the organization that helped launch her campaign – Justice Democrats – like Rashida Talib, Ilhan Omar, and others. So within the Democratic Party at least there does seem to be some growing momentum behind the idea of not accepting any corporate PAC money, right? How do you explain that? What do you think are the factors contributing to that? Monetta: Well I think it’s what we were just talking about, right? People get it. There’s such an incredibly high percentage of people that just understand that this system is fundamentally corrupt right now the way that it’s operated. If our elected officials have to spend up to 70 percent of their day talking to people and begging them essentially for money, they’re going to be doing what those individuals want. And that does not correlate to what the average American wants. So if a politician is beholden to the people, if they don’t have to make all those calls and they’re not accepting millions and millions of dollars from corporations and special interests and very wealthy individuals, then they can actually do their jobs and be responsive to us, the people. And I think that’s why people are so hungry for that right now. And that’s why they are drawn to candidates who say that you know, “I’m not going to take corporate PAC money and I’m just gonna take small donations from people.” I think we just fundamentally understand what happened. Q. The issue of money in politics – it’s not a partisan issue, right? it’s not really ideological in terms of like the left-right spectrum. But as far as I can tell, there doesn’t seem to be the same kind of growing momentum on the right or within the Republican Party. Are you aware of any significant Republican politicians or candidates who are also rejecting corporate contributions to their campaigns? And why do you think this issue hasn’t seemed to catch on yet at least in the same way it has within the Democratic Party? Monetta: I don’t know any just off the top of my head. There may be some. There probably are a few. I mean look, I think the main reason is we haven’t made it as big of an issue as we should be. And the voters haven’t. So, I really believe that as we continue to make this a central issue and educate people on all sides of the aisle – particularly conservatives – to make that an issue when voting, then Republican politicians are not going to have a choice because at the end of the day, they do need votes from people. If there are enough people standing up – and that’s part of our job here at Wolf-PAC – is really trying to open up and bring in people from both sides of the political spectrum, or all sides of the political spectrum. Those polls that I’ve seen – up to 96 percent of Americans – are not all Democrats. That’s obviously a huge percentage of conservative-minded Americans. So there is a disconnect, right? It’s not that it’s Republicans versus Democrats or it’s just Democrats who care about it. It’s that the Democrats are understanding that this is a good political move for them. Republicans just haven’t really seen that need yet because maybe they haven’t gotten enough pressure. But I do think that that’s our job to educate conservatives and show them how this affects their issues. Which it definitely does. Q. As more and more Democratic challengers are coming forward for the 2020 presidential campaign, it seems like almost all of them have at least signaled their general support for getting big money out of politics and their willingness to at least limit the amount of special interest money that they take personally. So if that momentum becomes a consensus within the Democratic Party, does that put more pressure on Republicans do you think? Do you think that that would go a long way in starting that dialogue on the right? Monetta: Yeah, I do. Because first of all, it’s a really smart political thing to do. And if if it’s the Democrats who sort of take the mantle and say, “we’re going to be the party that doesn’t take special interest money and corporate PAC money,” then Republicans eventually are going to have a very hard time beating that message. And I’ve seen this personally, just throughout campaigns and just kind of pay attention – what resonates with voters even on the state level with some of the elections that we dealt with – it’s just a really, really popular thing to run on. People latch on to it. They get it. So, yeah that is my feeling – that it’s a really good direction to go in. Right now, it’s not many. Right now, as you mentioned, it’s only a handful of a lot of Democrats in Congress. So you’ve got a ways to go. There are plenty of Democrats who are not representing the people at all right now and are more just beholden to all of the special interests. So it’s a mountain that we’re climbing, but I think it’s a really good start. Q. There was an op-ed in The Washington Post that got a lot of attention last week that made the assertion that a lot of the backlash within Congress towards people like Alexandria Ocasio-Cortez is perhaps rooted in their unwillingness or being uncomfortable in terms of standing up to the moneyed interests. What do you make of that of that idea? Monetta: Absolutely. I think that’s 100 percent accurate, of course that’s what it is. I mean you have people like Nancy Pelosi openly stating that the reason she is the speaker is because she is the best at raising money, not because she is the most responsive to the people or the best at getting a handle on all of the issues. It’s because she can raise money from all of these special interests. And that that’s a major problem for the government if you have the speaker of the House – the leader of the Democrats in Washington – openly stating that. So I think that’s exactly what it is. Q. At the same time, H.R. 1 – the very first bill introduced by the Democratic majority in the new Congress – includes essentially a clause saying that the Congress is in support of a Constitutional amendment to essentially overturn the Citizens United decision. I understand that that’s sort of the central issue behind your organization. And so how significant do you think it is to have language like that included in H.R. 1, which has a lot of symbolic power in terms of the priorities of the party in control at that point. How symbolically significant is it to you to have language in support of a Constitutional amendment included in that bill? Monetta: Well, it’s really important. We always say we need to be doing everything that we can right now to solve this problem. So every single thing that Congress does – whether it comes from Democrats or Republicans – everything we do at the city level, at the state level. We need to be putting as much pressure for reform and shining a light that this is the central issue that we have to fix first before we can fix all of the other issues that we all really care about: it’s the big money and special interest influence over our government. It’s the central root cause of why there’s no progress on anything that we care about. So we think it’s great that they’re doing that in Congress. But again, like I just mentioned, Nancy Pelosi is the best fundraiser and we know that this is one of the very best ways to raise money. So how much of it do they really want to pass or how much are they doing just to raise more money? There’s no way for us to know. But the thing I’d like to point out is that right now, because of the way that we have the Republicans in the Senate and the Democrats in the house, there’s not a realistic chance that that’s going to pass both chambers and they know that. So did they do something this strong when we had the Democrats in control of both chambers and Obama as president and supermajority in the Senate? Nope. No they didn’t. In fact they couldn’t even have something as simple as the Disclose Act, which just said you could still totally bribe our politicians and spend as much money as you can in our campaigns, but you just need to tell us who’s actually spending that money. And the Democrats didn’t do it. So how sincere are they now? I don’t know. Q. I think that’s a very good point. But sort of shifting now to the idea of a Constitutional amendment, I guess we should sort of back up for people who maybe don’t know. What was the Citizens United decision generally, and why does Wolf-PAC believe that a Constitutional amendment is necessary in order to have freer and more fair elections in this country? Monetta: Sure. 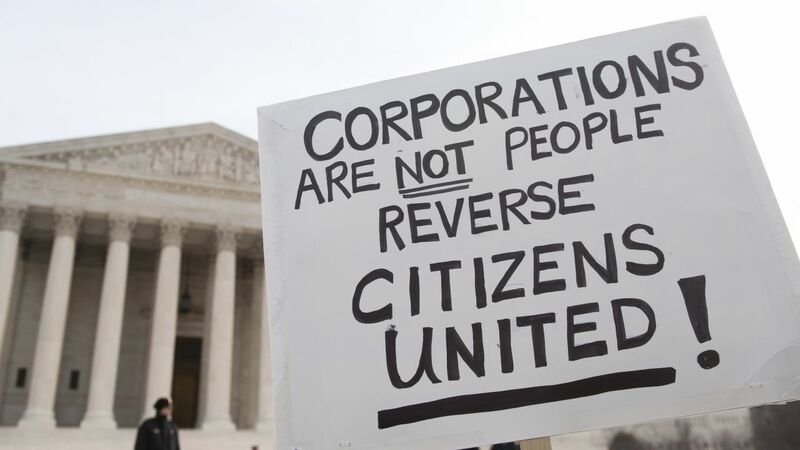 Essentially Citizens United was just another Supreme Court case in a long line of Supreme Court cases that have expanded the right for private entities like corporations and unions to be able to use their their treasury funds to spend in elections. There used to be for a very long period of time in this country common sense regulations against that. And so the court is really at the heart of this. And what they’re saying in its simplest form is that spending money in elections is a form of free speech so it’s protected by the First Amendment. Now again, it was not always that way. And so what we need to do is we need to find a way to essentially go above the Supreme Court to overrule them and say, “No that’s not the way. That was not the point of First Amendment.” First of all, we’ve had common sense campaign finance laws in this country for a very, very long time without ever affecting the First Amendment. There are a lot of Republicans that agree with that. You can look at [former U.S. Senator] Alan Simpson from Wyoming. He’s very outspoken against the Citizens United court case. [Former Congressman] Jim Leach was another one. Another group I should mention with regards to Republican support is John Pudner’s organization called Take Back Our Republic. So that’s kind of where we’re at. And it does bring us to the reason why we need it because an amendment is the only thing that goes above the Supreme Court and becomes the ultimate law of the land. So for us it’s a really simple equation. There are only two ways to achieve a Constitutional amendment as written in the Article 5 of the constitution – two-thirds of Congress can propose an amendment, or the other way to do it is two-thirds of the state governments apply for a convention, where an amendment can be proposed. Either way, that amendment needs to be approved by three-quarters of our states afterward. So that’s an incredibly high threshold – 75 percent of our state governments need to approve an amendment before it actually becomes part of the Constitution. Q. I understand too that your organization is in favor of the convention, which has never happened before in U.S. history. So that would be a very interesting and novel way to do it, right? Monetta: Right. True. But one thing that a lot of people don’t realize is that using the convention method has been a big part of amendments to our Constitution. In fact, the majority of U.S. Constitutional amendments have included a convention campaign. That goes all the way back to the Bill of Rights. Congress was not going to propose those amendments initially. And New York and Virginia called for a convention to propose them and the Congress ultimately did it. That has continued all the way throughout our history. The best example that we have is the 17th Amendment, which was passed in the early 1900s. The people looked at the way that our U.S. senators were elected as corrupt. It was overt corruption, like bags of cash. The state legislatures used to appoint people to the U.S. Senate. The Senate was looked at as the Millionaires Club. But what happened was I think very telling and we need to be able to use it as a precedent for what we’re about to do – that people used every single tool of democracy they had. They did petitions, they did local legislation, they did state-level legislation, they passed resolutions asking Congress to propose an amendment for the direct election of senators. They did all of it. Q. That’s interesting. So the idea is even just trying to get momentum behind holding a convention can put enough pressure on the legislature to maybe propose an amendment themselves? Is that the strategy now? Monetta: Yes and we absolutely have to be doing it for that reason. But our sense is we would love to see a convention. We think it was absolutely meant to be used. In Philadelphia, at the end of the Constitutional convention, Congress was going to be the only body of government able to propose amendments and George Mason stood up and said, “wait a minute there’s a flaw here. What happens if Congress itself becomes the problem? Then we’re never going to get an amendment to be able to fix it themselves, right?” If Congress was the problem, we have to give the people another way to be able to amend the Constitution and that’s when they put in the state-based route. So we absolutely need to be using this and I think there’s a really strong case to be made that the reason that Washington is so out of whack is because we haven’t used the one and only constitutional check that we have. And again, all we’re talking about is who’s going to write the amendment. There is a little bit of misinformation out there about the convention process and you’ll hear about a runaway convention – totally misguided theory. That’s not backed up with any legal, peer-reviewed research, which all says the convention is perfectly safe to use. Q. What do you mean exactly by a runaway convention? What’s the idea behind that? Monetta: So what you’ll see if you google “Article 5 convention,” you may see a lot of op-eds that say, “oh God we can’t have a convention because it’s going to be chaos. This could be a Pandora’s box. And you know we’re just going to rewrite the constitution basically.” So that’s what they mean but it’s extremely misguided for so many reasons. Q. The convention you’re advocating for would be very confined in scope right? For just the creation of one amendment. The idea would not be to rewrite the entire Constitution obviously, right? Monetta: That’s right. And that’s another important part of the information regarding this process. Our resolution is very specific. It says, “the state of, let’s say Colorado for example, is applying for a convention under Article 5 to address concerns raised by Citizens United and related cases.” And it goes on to explain how the massive influence of special interests and big money has corrupted our politics. It’s very specific that the convention can only be about that one issue and so far five states have done it on that one issue. Q. Has your organization worked on a specific text for an amendment or is that something you want to see play out when and if we actually get to a convention? Monetta: It’s something we’ve worked on behind the scenes but it’s not something we’ve put into our resolution language. We want to be on top of it, we do want to know what the options are, but at the end of the day, we don’t feel like our organization should be the ones dictating what the amendment has to say. We’d basically be taking the deliberation out of the convention process – which is the whole point. So that’s what we’re doing, and anybody who’s listening who would like to get involved, we’d love to have you. If you go to our website, wolf-pac.com, you can sign up to volunteer and we’ll teach you how to get involved. It’s a really fulfilling feeling. We feel like we could have a really big year in 2019. We feel like we could get red and blue states standing up and demanding it, and if we get the momentum behind it, it could take off. Because we feel like it has to be done.